Wedding Day services are provided on location wherever your event takes us. As a small business, we pride ourselves in providing personal service throughout our collaboration with you. You’ll always know who you’re working with from the trial and initial booking up until the wedding day. 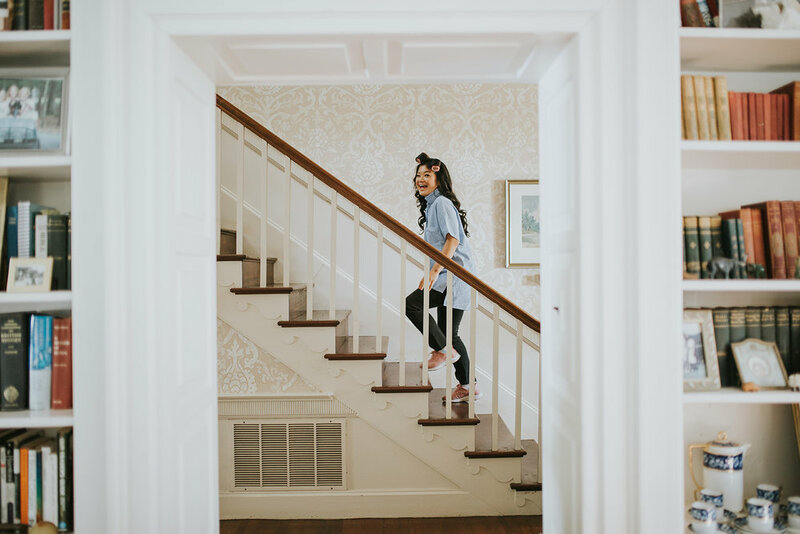 We hope to make this process as easy as possible for you so you can get back to enjoying your engagement season, and soak in all your blessings on your big day with hair and makeup being the least of your worries! We got you! - On site hair and makeup services (travel rates apply). - We will stay for the duration of wedding preparations before your departure. - Receive a customized getting ready timeline for you to share with your party. - Up to a combined 20 services accommodated with 3 artists booked. - Touch ups for everyone receiving services before departure of getting ready location. (bride must book airbrush for everyone to receive complimentary airbrush). - False lash and application for each makeup application booked. 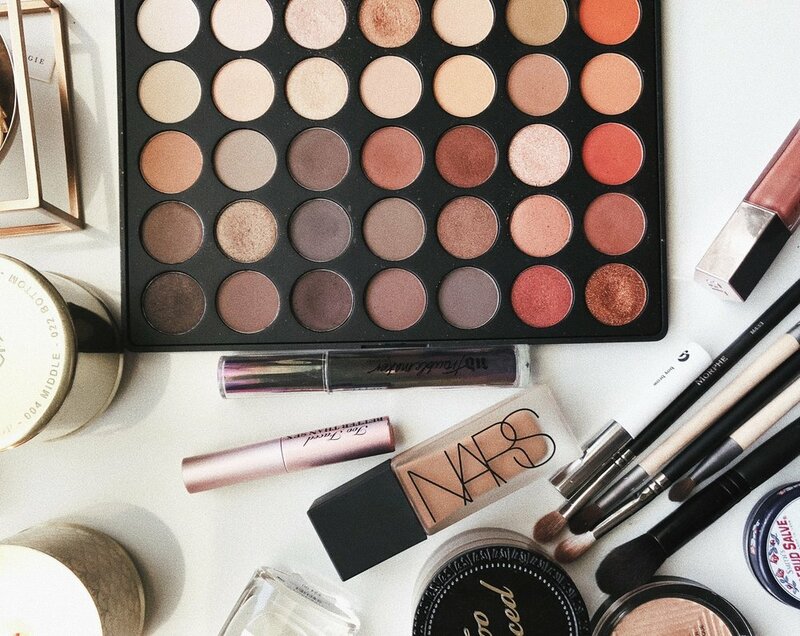 - Customized skin prep before each makeup application. - Bride will receive hydrating sheet mask in addition to customized skin prep. Most brides are planning a wedding for the first time and have never had to hire a hair and makeup team before. The hair and makeup trial is an important part of the wedding planning process so you know exactly what to expect on your wedding day. It is essential to choose a vendor that can help you execute your envisioned beauty according to your personal style and assist you in the morning of coordination for a stress free start to the big day. At the trial appointment, we will test out one or two looks to match your dress and wedding theme/vibe. The trial will likely take place early on in your planning, but don’t worry if you can’t decide on a look at the trial. The appointment is a great time to meet us so you’re sure to feel confident in our style and ability to execute your decided and envisioned look before moving forward with booking your date! Following a successful hair and makeup trial (hooray! ), you’re ready to move forward with the booking process. We will work with you to discuss all the wedding day details to secure your date, coordinate the bridal party look, and carefully plan the morning of timeline. We will make all the necessary suggestions and considerations for you to make as we assist you in planing a smooth and seamless morning. If you haven’t decided on a wedding day look, you may book a wedding day preview session closer to your wedding day to test out what you’ll really look like on your big day! On the wedding day, we will arrive early to set up and get started on hair and makeup promptly. The timeline we created with you, or your planner, will ensure a smooth transition between each appointment to get you and your party finished on time. Each person receiving services will be prepped with skincare specific to their needs following hair-prep/roller-set for long lasting curls/body. The makeup application will then be completed along with the final styling of the hair. Whether you depart the getting ready location with or without your party, everyone will receive a final touch up, and we will apply any finishing touches necessary before we begin station breakdown. The option to stay behind for family members receiving hair and makeup is available. If you need touch ups throughout the day or a second look for your reception, let us know! In order to provide you with our best service possible, my team and I book only ONE wedding per day. For this reason, we work by contract only. If you’d like to secure your date, half of the creative services subtotal of the wedding day cost is due within 10 days of signing the agreement. Dates are subject to release without notice if payment has not been made by the due date. If you’d like to book a trial before moving forward with the booking process (which we strongly suggest! ), you may request a soft hold on your date for up to 2 weeks until your trial appointment. WHAT ARE YOUR TRAVEL FEES FOR ON-SITE SERVICES? We are based in Long Island City, NY (11101) and we travel all over NYC and surrounding areas for weddings. For locations in Queens, West Brooklyn, and Manhattan (below 92nd Street) travel is a flat rate of $50 total. Travel outside of our flat rate area will incur a roundtrip mileage fee plus $50 per artist. Overnight accommodations may be required for early morning weddings and locations that require us to drive 1.5+ hours. HOW LONG DOES EACH SERVICE TAKE AND HOW MANY ARE YOU ABLE TO PROVIDE? We do not at all want to rush the process of making you up on your big day! We want everyone to be completely satisfied with their look, and in order to ensure hair and makeup will be done on time for departure, each service (hair OR makeup) requires 1 hour per service. (example scenario: 5 ladies for both hair and makeup will require 5 hours plus 30 minutes set up with 2 artists booked). My team and I are able to provide up to 20 total services depending on your overall timeline. You may book one artist for up to 6-8 services depending on your wedding day timeline. DO YOU STAY FOR TOUCH UPS THROUGHOUT THE DAY? It is our service to you to stay with you for the duration of your wedding preparations. We always stick around to touch up until the moment you leave your getting ready location. You may request additional hours for touch ups or a second look as an add on service. For weddings that require multiple artists to carpool, the touch up service fee will be applied for each artist. DO YOU HAVE A MINIMUM TO BOOK A WEDDING AND DO YOU OFFER DISCOUNTS? We require a minimum of 2 services (hair and makeup) booked at our standard rates to book on-site services. We also offer group rates when you book a minimum of 4 hair or makeup services for your event! Discounts are also offered during our off-peak season from December through February.